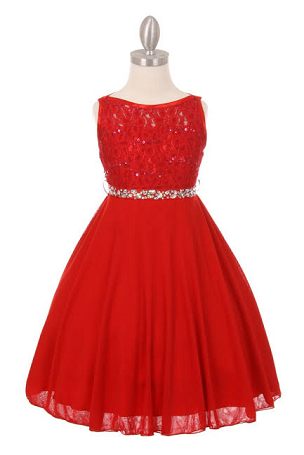 Glamourous sparkling sequin lace double chiffon T-length dress with removable rhinestone grosgrain belt and invisible zipper closure. 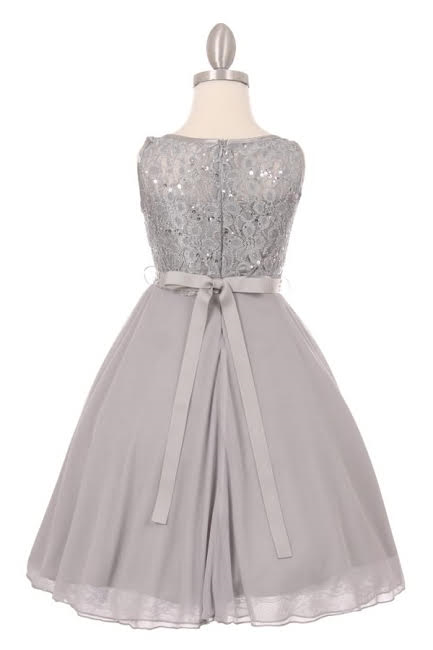 Gorgeous detailed dress, ideal for graduation, flower girls, junior bridesmaids, birthdays, special occasions. Available in Silver, Red, Navy, Ivory & Dusty Pink.